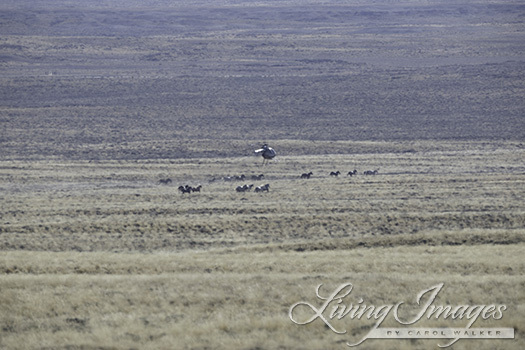 Today we were placed 3 miles from the trap site above the Eversole Ranch in Salt Wells Creek. 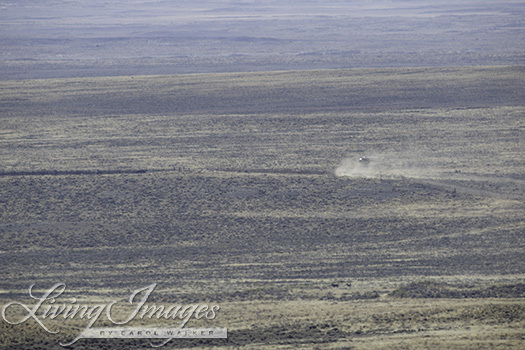 I could barely make out the little ant sized horses in the viewfinder despite my very long lens. 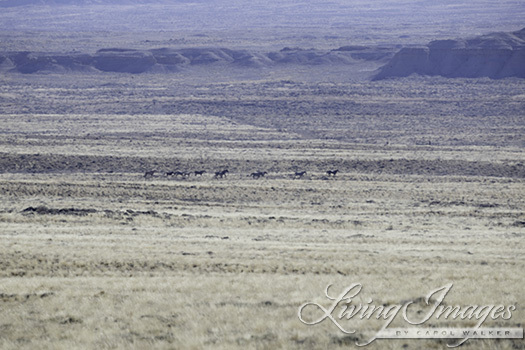 I could only tell if the horses were dark or light colored, and make guesses about how many there were. After a frustrating 3 hours trying to keep track of horses very far away, we were told that we had the option to go to temporary holding so we could see the horses that had been rounded up so far today before they were loaded up and trucked off to one of two long term holding facilities that would not allow visits from the public. Since we had not gotten any sort of useful view of the horses I jumped at the chance. While we were waiting for the Cattoors to process the horses so we could be let in to see them, we watched an antelope family move to a puddle to drink. Once we were allowed in to see the horses, we walked around looking first at the mares. All but one of the foals had been weaned and were separated from their mothers for the first time. One mare with a collar from the Adobe Town Radio collar study had been captured. I asked about the mares who had been captured last week with collars and was told they had been released back into Adobe Town. It breaks my heart to see these family bands seperated . The helecoptor roundups and running these horse’s to extreme lengths some to exhaustion and even death is so wrong and disturbing. 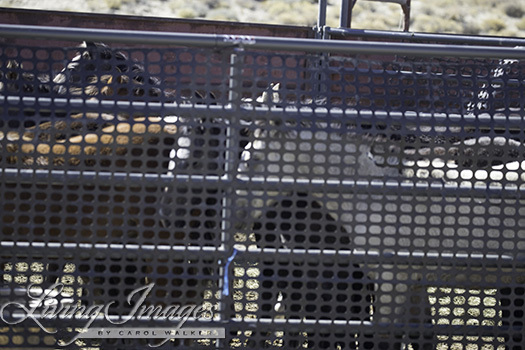 The terrified look in there eye’s and the horrendous treatment of these wild horse’s are subjected to is just plain cruel and inhumane. Our Government should be ashamed for letting such an act of cruelty happen to these amazing horse’s over and over again. To make matters worse for our wild ones, the House budget passed along party lines. 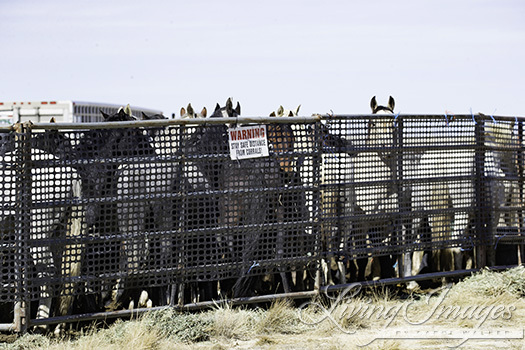 Having documentation that in past captures, our wild horses “disappeared” directly from the range … I unfortunately assume that a truckload or two were likely “sold” to KB behind our backs while members of the public were at the temporary corrals – or this could be happening in the night. Sorry for mentioning this but we know that this has happened before. Louie, have you come across anything related to “wanton waste” as may pertain to killing wild horses or burros–especially as this seems to be commonly done immediately following a roundup. It seems as long as they can run them in and get them counted the contractors get paid, then those with “preexisting conditions” which they were managing fine with are killed and dragged off into the sagebrush (C. Downer among others has photo documentation of this). How is it this isn’t considered “waste” of protected American wildlife, especially when there are legal penalties for others caught shooting wild horses or burros (though these never seem to be enforced, sadly.). IcySpots, Craig Downer could probably answer that better than I can, but I think “wanton waste” refers to hunting and game animals. 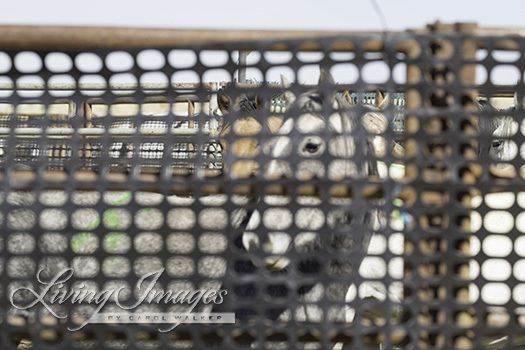 So the “punishment” for chasing wild horses onto reservation land & loading them on a truck & selling them to a meat plant was $510.00 and PROBATION! And that was AFTER the wild horse & burro act was put in place. Nice to see Dave Cattoor learned his lesson – certainly gave him experience in his current ventures, right? The Citizens Participation Act was signed into law on June 17, 2011. The Texas Citizens Participation Act allows defendants who are sued as a result of exercising their right to free speech or their right to petition the government to file a motion to dismiss the suit, at which point the plaintiff would be required to show by clear and specific evidence that he had a genuine case for each essential element of the claim. The False Claims Act helps to prevent fraud by those who do business with the federal government. The FCA rewards and protects whistleblowers who expose companies, individuals, and contractors who defraud the government with respect to government funds, including grants and payments from the government for goods and services. If you expose fraudulent conduct by your employer, the FCA protects you from retaliation and also provides that you can file a qui tam action and be awarded up to 30% of any funds recovered. Read below for more information about whistleblower and retaliation protections and what is involved in filing a qui tam action under the False Claims Act. KEEP calling and faxing Congress. how do we get the call logs?